The Carlisle HD FIELD TRAX excels on tough terrain. The open, non-directional tread pattern makes this tyre unbeatable for farm, golf and recreational use on a wide variety of surfaces. 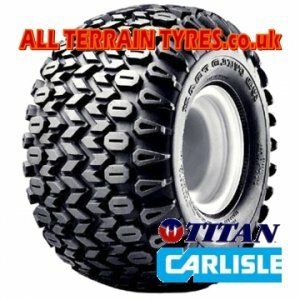 This ATV tyre has a high rubber to void ratio increasing wear time and puncture resistance. 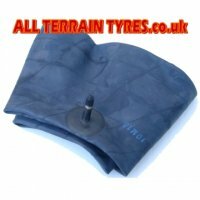 It is an optional original equipment fitment on utility vehicles such as the John Deere Gator, and an ideal upgrade from Turf Trac or Turf Tamer tyres. Be the first to review this item (sign-in required). Write a Review. We understand that it isn't just great service that you need as a customer, but value for money too. We continually monitor the prices offered by our competitors and adjust our own pricing accordingly. If you do manage to find a cheaper price online elsewhere (including delivery) we'll do our very best to beat that price. Using our knowledge and resources, we may even be able to offer you an alternative product of simliar quality at an even better price. it doesn't cost anything to ask! Simply send us a link to the item page and we will reply with an offer.